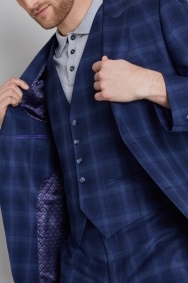 Stand out in bold checks. 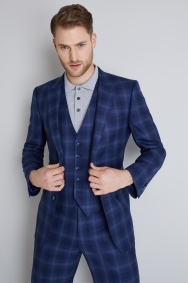 Choose this contemporary suit jacket by Ted Baker and you’ll turn heads. 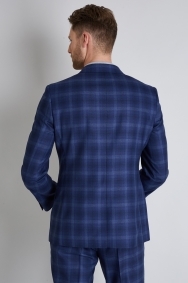 The stylish blue check works for both playful and serious occasions, and can be dressed up or down with a range of shirts. 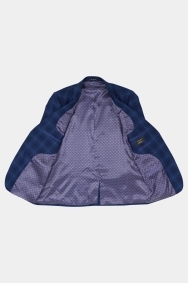 Featuring the signature Ted Baker contrasting collar and made from a resilient wool blend, this jacket will keep you ahead of the game. 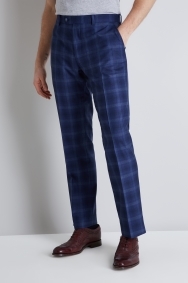 For a more relaxed look, pair it with a light grey polo shirt buttoned high. 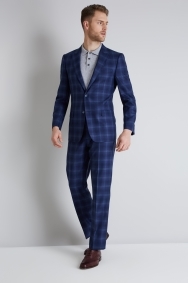 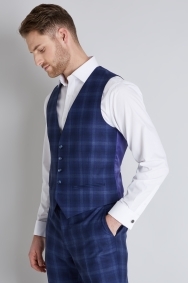 Team it with the matching blue check waistcoat and trousers for a show-stopping 3-piece suit. 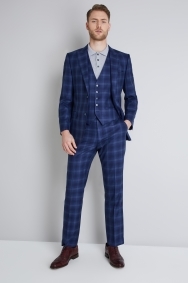 Great fit, the pattern isnt as “bold” as we were expecting but it works perfectly with the rest of the ensemble.